You can admit it, you squealed with delight when you saw this cute Sewing Machine Necklace. Isn’t it just about the most adorable thing ever? 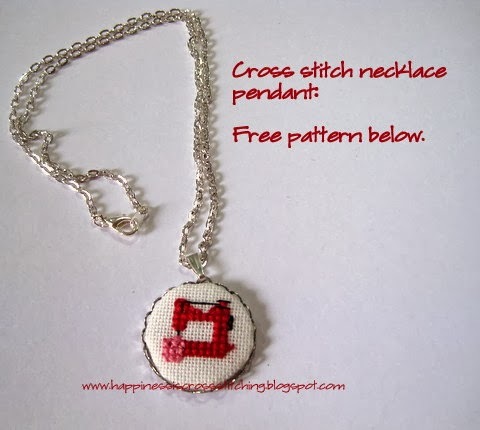 Happiness is Cross Stitch by Lynn B. not only offers up this darling pattern, but also gives you a tutorial on how to take the finished piece and make a necklace. Be sure to check out her other freebies and tutorials on her website. That’s just the right amount of X-stitching for me. Too cute. Might have to make a couple!! Thankyou for featuring my cross stitch necklace!